One of my main vices when it comes to food: Caramel. The sweet, creamy taste of caramel draws me in every time. Whether it be candy, syrup, or coffee, I am always ready to say, “Yes” to caramel. My most frequent use of it is in my coffee. Whether I am out or at home… Caramel Macchiato is my flavor of choice. And when I am not drinking coffee, I try to think of fun new ways to incorporate the creamy taste into my foods. Since coffee is part of our morning routine, we decided to add a touch of that routine to our breakfast. But, not exactly in the form of a cup of java, but more in the way of a food: Caramel French Toast. I mean, I thought that instead of the milk we usually use, why not substitute it with my favorite coffee creamer: International Delight Caramel Macchiato. 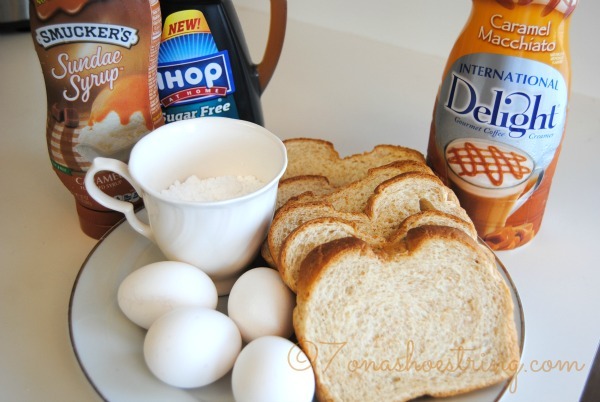 French toast is a favorite comfort food I remember when growing up. My mom taught me to make it and it a food I enjoy making for my kids now. Therefore, combining the childhood memories with the smooth-tasting flavor of caramel seemed a great idea. 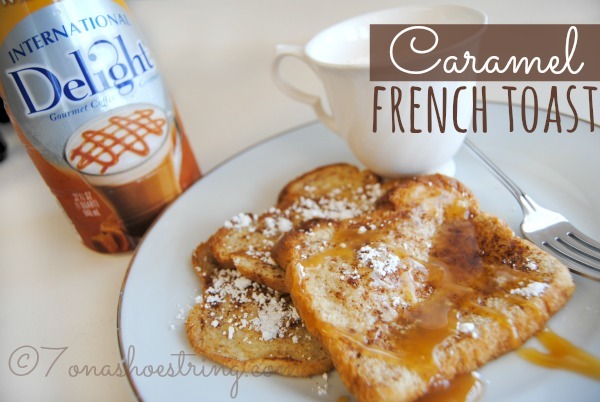 Take a look at how we put our own spin on the traditional breakfast treat to make the delicious Caramel French Toast recipe. Spray griddle or frying pan with non-stick spray. Pre-heat to medium heat. Mix International Delight Caramel Macchiato with 2 eggs until yolks are well blended. Add cinnamon to taste. Dip slice of bread into mixture. Flip and cover both sides. Place dipped bread onto griddle/pan and brown both sides. My kids loved the additional flavor they found within the french toast. The subtle taste of the caramel adds a sweet blend to the morning meal. 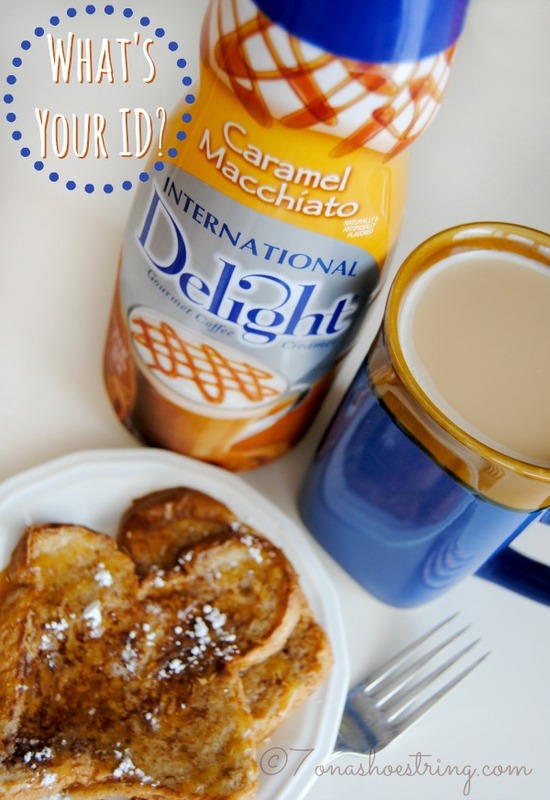 Paired with a delicious cup of coffee delicately flavored with International Delight Caramel Macchiato, the Caramel French Toast is the perfect start to my day. The subtle taste of the caramel adds a sweet blend to this otherwise traditional morning meal. Once cooked through, serve with optional toppings: powdered sugar, caramel syrup, maple syrup.